Many people have been telling me to avoid Chinatown during this festive period — but did you know you can soak in its sights and sounds while avoiding the suffocating crowds? Here's a not-so-well-known secret: Head over to Chinatown Food Street (aka Smith Street), just a stone's throw from the MRT station. Over here, the crowds are visibly thinner, making for a more relaxed and pleasant experience. 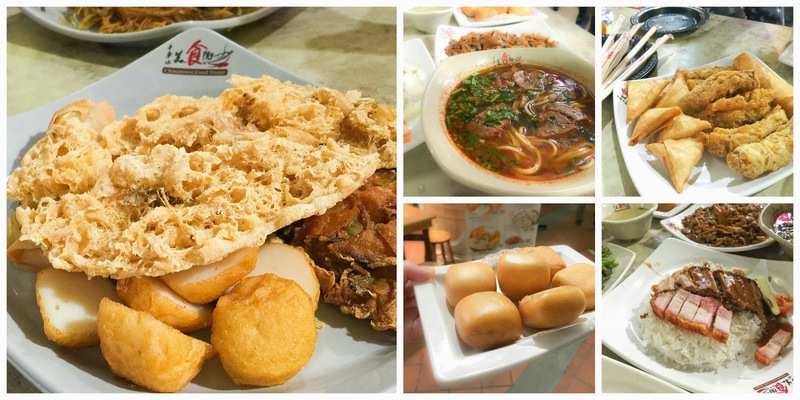 Check out these 7 reasons you should visit Chinatown Food Street during this celebratory period to usher in the Year of the Goat! I've always harboured this mindset that celebrities avoid crowded areas at all costs — but they might happen to be there for some filming or even to soak in the sights and sounds of this prosperous season! 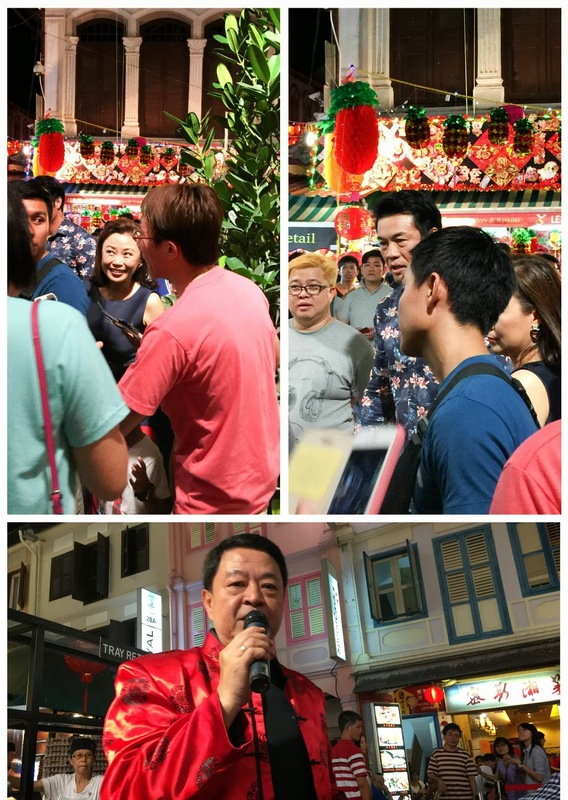 I thought I struck a pot of gold when I spotted three MediaCorp celebrities within one night along the street. Lou Hei is a unique activity of the Chinese — you should always take the opportunity to introduce your foreign friends to this interesting activity to toss up some good fortune. 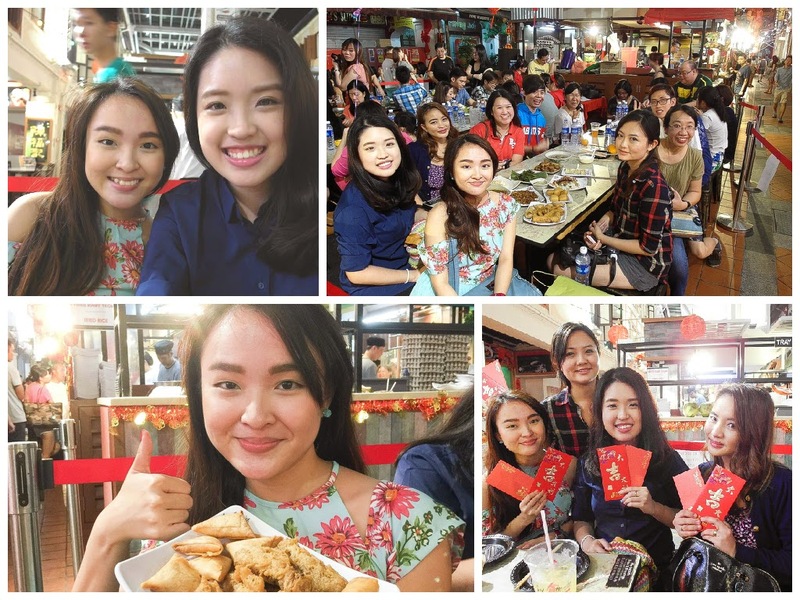 I was there with several new friends — Check out the video below to see how we abandoned our inhibitions and boldly declared "HUAT AH! (Well-wishes for prosperity!)" "What should I eat?" With 24 hawker stalls offering dishes priced between S$2.50 and S$10.00, you will never run out of novel dining ideas here. Chinatown Food Street also offers yusheng at a pretty reasonable rate — S$28 for the smaller version and S$38 for the larger one. Don't know where to head out to after all the shops are closed? 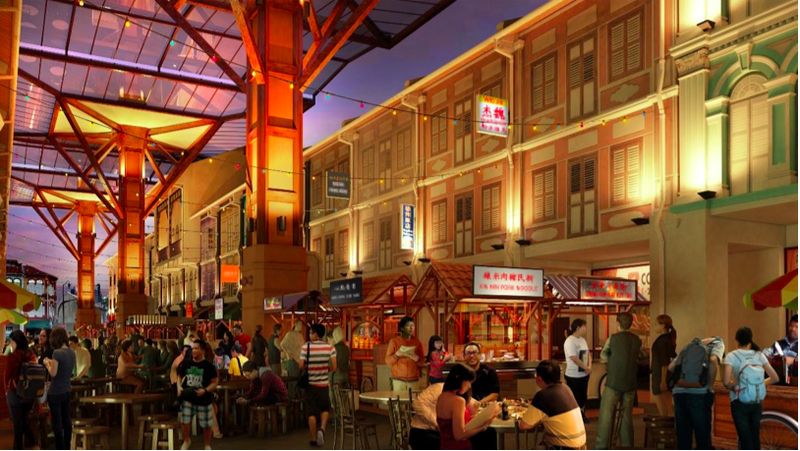 From now till 18th February, enjoy a hearty late night supper with your loved ones at Chinatown Food Street. The shops are open daily from 11am to 2am! I had so much fun with my friends that we left the place only around 11.30pm. 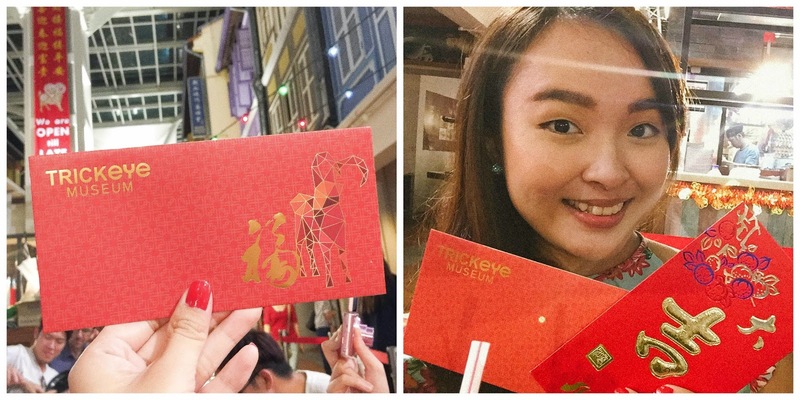 From 13 February to 3 March, spend at least S$10 in a single receipt at Chinatown Food Street and get a 20% discount off Trick Eye Museum admission tickets. It's really easy to hit the $10 mark when you dine with a +1 or with your family! Do note that the Trick Eye Museum discount vouchers are valid until 31 March 2015. 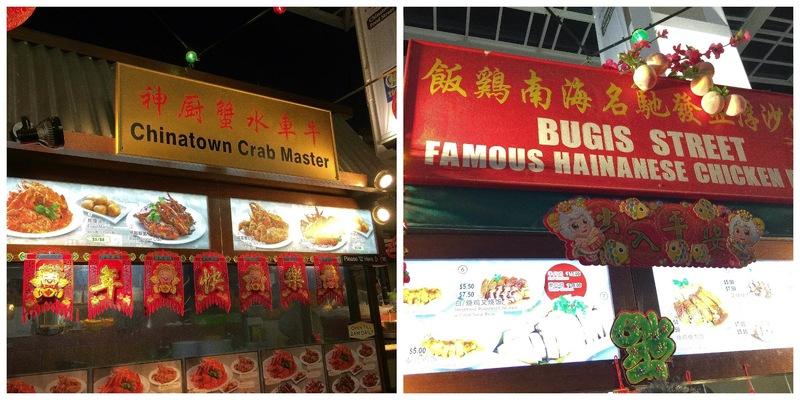 We've always had our favourite hawker food in food courts, hawker centres or coffee shops. How does it feel to eat in the middle of a street, with the bustling sounds of electronic firecrackers and a jolly and excitable crowd? I must say I really enjoyed the experience — it really put me in a celebratory mood and fired me up nicely to revel in the festivities! Chinatown Food Street will be decked out in beautiful festive decorations for CNY — the last time I was there, I even spotted this huge 'alien saucer' flying up and down! It was indeed a sight to behold. You also get to enjoy sparklers and CNY games for the entire family. Oh yes, you don't have to fret about not finding a seat as there are more than 800 seats available for diners. Definitely more than sufficient! i'm going there tonight hope not so crowded! 800 ppl? wa got so many ah?